Is the Black Man the Bogeyman in the Ivory Tower? For many centuries, the bogeyman has been used to scare, manipulate and usually attempt to encourage better behavior in children. This age-old mythical figure has loomed in the minds of countless children from diverse backgrounds. Almost every child can recollect scary stories about the bogeyman, who either lived under the bed or in the closet, and taunted the minds of children whether asleep or awake when parents weren’t around. And although there has never been a solid consensus on exactly what he looks like, two truths about the bogeyman ring true throughout history. One, he is bad, and two, you don’t want him to get you. Given that both of us have obtained doctorate degrees and are well on their way to conquering great feats in higher education, one would surmise that the bogeyman would be an obstacle of least concern to our lives and careers. However, we attest to not only still experiencing the bogeyman, but also embodying the fullness of what he represents. Even after establishing credibility and capability, some Black males in higher education are still likely to face being shelved into stereotypical categories. This creates an uncomfortable equation wherein capable talent must prove to their environments that they are not the bogeyman. Dr. Claude Steele, a leading social psychologist, has lent a great deal of his career to theorizing about the major societal significance of different stereotypes and how they affect performance. Steele insists, “Whenever we’re in a situation where a bad stereotype about one of our identities could be applied to us – such as those about being old, poor, rich or female – we know it. We know what people could think. We know that anything we do that fits the stereotype could be taken as confirming it. And we know that, for that reason, we could be judged and treated accordingly.” And while there is plenty of research to substantialize these claims, nothing compares to confronting these instances in real time. Unfortunately, the many instances of microaggression experienced by Black men go so much further than affecting performance. They stifle confidence, kill ambition and skew perception by making even the simplest of accomplishments seem unattainable. Not only have many Black men in higher education become the bogeyman, they are left with the daunting challenge of also fighting the bogeyman within. We, Hilton and Whitaker, derive from polar opposite educational backgrounds. Ronald was educated primarily in predominantly White institutions (PWIs), whereas Adriel attended historically Black colleges and universities (HBCUs) until recently. Still, our experiences encountering similar instances of racial discrimination share the same painful undertones. Our example leads to an ominous question: Is there truly a safe zone for Black males in higher education — one where they aren’t subjected to unfair stereotyping or profiled as a physical threat to their surroundings? Despite having to sometimes carry the ominous existence as the bogeyman on our respective college campuses, both of us have had our share of positive experiences — and successes — in higher education. “Instead of being acknowledged and respected for my accomplishments, I’ve often had to field those awkward questions such as: ‘How did you get here?’ or ‘Who did you know?’ This instance of micro-insult, although possibly harmless in its intent, is nevertheless orchestrated negatively, which impacts my esteem and career aspirations,” Hilton asserts. We are strong and resilient, so rising above it is the expected thing to do, but once again, it leads to the question: Is there yet a cause? To some, it may sound extreme, but there have been many assertions made that PWIs not want Black males employed at their schools. Shockingly, can it be that even Black schools are also uninterested in hiring young Black talent at their institutions? And while there have been many recruitment efforts to increase enrollment of Blacks in graduate programs, it seems futile to approach these recruitment endeavors while refusing to ensure the number of Black professionals in higher education is also on the upswing. The absence of Black professionals not only poses a serious threat to diversity in higher education, but it also puts in jeopardy the social justice of students of diverse backgrounds who are often misunderstood, mislabeled and left to battle feelings of inadequacy. The question posed by this article is whether or not Black men are the bogeyman in the ivory tower? And while some may be too intimidated to weigh in on the topic, the truth is that Black men are actually the solution to a long-standing problem. What better subject-matter expert to weigh in on initiatives, diversity trainings and racially inequitable educational environments and outcomes than those with first-hand experience? Both of us have been able to take these periodic painful experiences and use them as ignition for inspiration. However, every Black man cannot be expected to always exhibit this level of resilience amidst these sometimes-hostile racial climates. The answer may be as simple as it is apparent: a purposeful move toward more diversity across the landscape of higher education. 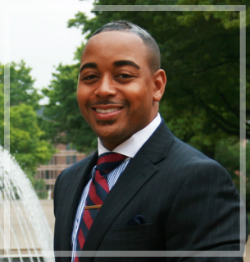 Dr. Adriel A. Hilton is dean of students and diversity officer at Seton Hill University. 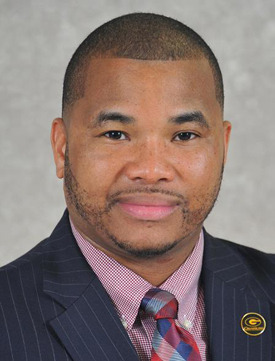 Dr. Ronald W. Whitaker, II is an assistant professor and Director of the Center for Urban Education, Equity, and Improvement in the School of Education at Cabrini University.